Hi everyone! This afternoon I went to my niece's 5th, nephew's 7th and nephew's 9th joint birthday party! 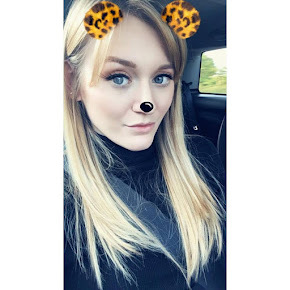 It was fancy dress and most of the children were going as Disney characters so I thought I would stick with that theme and chose my all time favourite - Bambi! 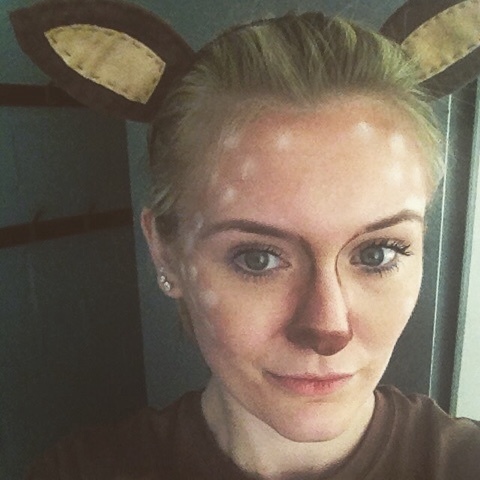 I thought I would blog about how I Bambi-fied myself. This is great if you're not a fan of full on fancy dress or are just looking for something quick and easy. My ears are handmade by my sister in law, because I'm rubbish at this sort of thing! She made the ears out of two long leaf shaped pieces of brown felt, and sewed them on by folding each one around the headband. She then sewed the sand coloured felt on top to look like the insides of the ears. I applied my usual make up and then took my bronzer and applied it all over my forehead, running down my temples and then along my cheekbones like blusher. I then used my finger to apply dots around the side of my face with white eyeshadow. Taking an eyeshadow brush, I then traced brown eyeshadow down from where my eyebrows start down the edges of my nose and coloured in around my nostrils with the same eyeshadow. I wore a plain brown tshirt which I picked up for around £2 on eBay and that is all there is to it! You look amazing! This is so cute and looks easy (although I'm sure it's not as easy as you make it sound).